Our instructional program in English Language Arts mirrors the rest of our program in its interdisciplinary, hand-on, and differentiated approach. From the time children are in our youngest classroom at the Pre-K level, they are exposed to a literacy and print-rich environment. Vocabulary-building and oral language skills are emphasized as children have a multitude of opportunities throughout their day to converse, discuss, even debate, with both adults and other students. Children are given a language intensive experience in a literacy rich environment. 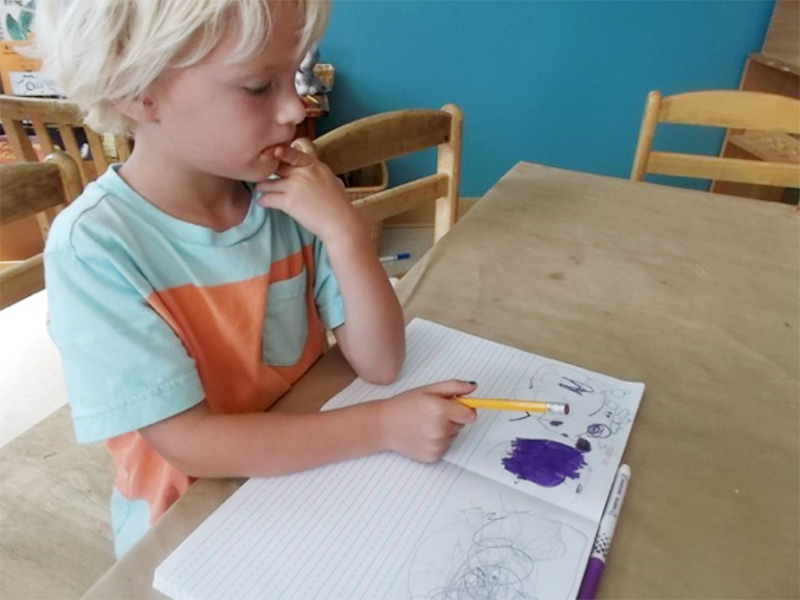 In every area of the room, there are opportunities to use reading and writing skills, record information using clipboards and pencils, read books and write in journals. Fluency and vocabulary are reinforced within play. Books are used for reference and to extend vocabulary. Literacy is extended beyond the classroom into the outdoors and the community. When phonics is taught and strategies are given, this becomes a meaningful and relevant for each child. For example, when a child wants to write a letter to his/her family and is looking to spell a word, the teacher uses scaffolding and other tools to help the child with invented spelling. The classroom is conducive to, and children are encouraged to read independently, to a group, teacher, or friend. Seeing oneself as a competent and successful reader and writer is very important in this area of development. Writing: Lucy Calkins Units of Study in Writing – Rubrics & Assessments through Curriculum.